To the beastly Bradley Bartleby, no behavior is too bad. After all, he was born bad. The older he gets, the badder he becomes. His selfish demands are always met by his rich parents for the sole reason they are terrified of their spoiled son. Every year Bradley has the audacity to make demands of Santa with such a huge list, his father has to hire a team of secretaries to type it up. And every year the kindhearted Santa leaves the spoiled brat the same thing, a pair of socks. Bradley becomes so enraged, he spends the next year building a trap for Santa Claus. By Christmas Eve, his parents have to move to a hotel to escape the danger. Luckily for Santa, Bradley's evil plan backfires and he finds himself looking through the wrong side of metal bars. Never one to leave a child with nothing, Santa gives Bradley the usual socks with a few surprises. The digital mixed-medai illustrations complement Emmett's witty humor. Bernadette's impeccable skill using dark colors and shadows enhance the sinister actions of a ghastly little boy. 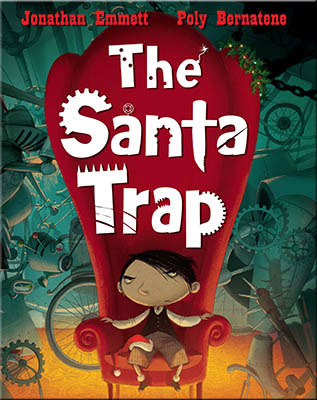 Not a nice and fuzzy Christmas book, but destined to become a holiday favorite for those who can't resist a little naughty.I HIGHLY RECOMMENDED, The Santa Trap as a well-crafted picture book to be enjoyed by parents as much as children. Want to win this book? Use the Rafflecopter form to enter. By entering, you acknowledge you have read the terms on the Rafflecopter form and agree to them. 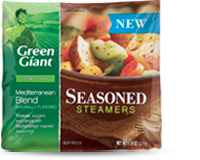 Contest ends 12/17/2012 at 11:59 EST. The swamp, also known as frogpond with an e, seems like a perfect place for the roly-poly frog, Gilbert, to spend his days. After all, he has plenty of juicy bugs to eat all day. When he fills his stomach to the bursting point, he can lounge around and sleep the rest of the day away. When two gourmet cooks show up to Gilbert's swamp, his world is turned upside down. Too huge to outrun the chefs who want to cut him up and squeeze him into sausage, Gilbert must outwit them by convincing them that bugs, not frogs are the latest exotic cuisine. The frolicking rhymes combined with the whimsical illustrations promise to make children and adults instant fans the lovable and witty Gilbert. The dinner guest you will want to return to your house time and time again, Gilbert's wild antics make time fun. A definite recommended read-a-loud picture book that will make bedtime an all out laugh fest. 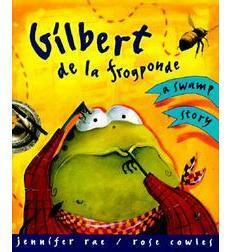 Giveaway Details: Peachtree Publishers has offered to give one of my lucky readers a copy of Gilbert de la frogponde. To enter, use the Rafflecopter form. By entering, you acknowledge you have read the forma and agree to the terms. 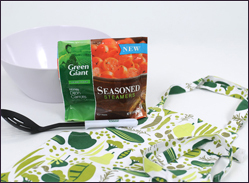 Giveaway ends 12/15/2012 at 11:59 p.m. EST. **I received the book from the publisher at no charge for book review purposes. No compensation was received and I am always free to give my honest review of the book. Labels: gilbert de la frogponde book review, jennifer rae children's author, picture book giveaway. You won't want to miss this book giveaway. Charlie Joe Jackson is back with the sarcastic humor that made his first guide so funny. If you don't like reading, big deal. You'll want to read Charlie Joe Jackson's Guide to Extra Credit. You might even get some great ideas on how to pad your grade. Be sure to check out my book review. **This is not a sponsored post. Prize is offered through the author and not the blog owner. The students of Scary School are back (at least those who survived their teachers from the last year). After winning last year’s Ghoul Games, they have been invited to the Monster Forest to meet the Monster King, Zog the Terrible. Their trip starts out on the wrong foot when Charles Nukid is lost in the Monster Forest. There he rescues Princess Zogette, daughter of King Zog, who falls hard for Charles. Unfortunately, this angers Zogette's finance, Captain Pighead, which sets into motion a mad monster frenzy. In the meantime, the students of Scary School do nothing to help Charles Nukid's cause with a series of their own missteps which anger King Zog. When Zogette follows Charles to Scary School, King Zog wages war on the entire school. 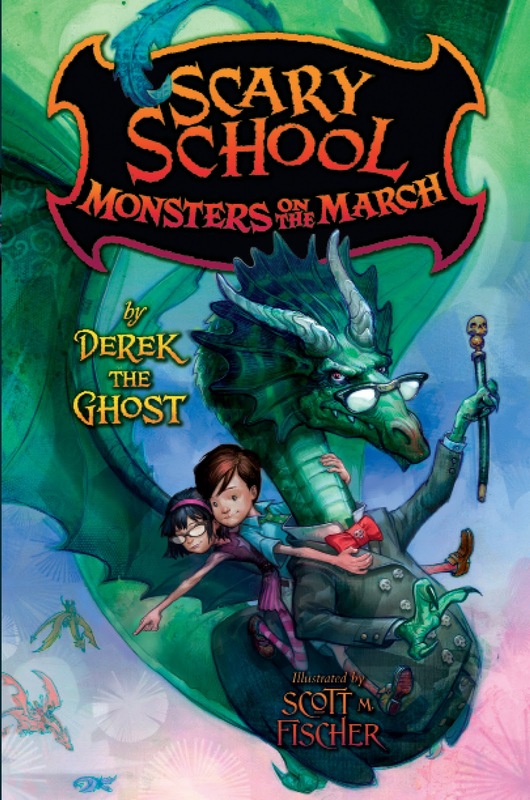 Derek the Ghost, AKA Derek Taylor Kent, brings the clever and imaginative world of Scary School back in Monsters on the March with more creepy and hilarious monsters that will have the middle grade readers shivering with fear between bouts of body shaking laughter. Adults will enjoy the humorous references to some classic scary movies that the younger reader might miss. The talented Scott M. Fisher brings the story to life with lifelike illustrations full of personality. The print version captures the essence of the illustrations in a way the electronic version can't. A beloved series for boys and girls that will have them anxiously waiting for the next installment. Recommended + (4.5 out of 5) for the reader who loves monsters and humor. Miller Sanford can hardly wait for the fall fair. H. As a sixth grader, he's sure this is the year his parents will think he is responsible enough to go alone with his best friend, Lewis. Visions of fair food, games and rides dance in his head, setting him up for what is sure will be the best fair ever. Things don't go exactly as planned when Miller gets stuck with his 6-year-old pain of a sister Penny, and her friends and accidentally feeds them his father's potential blue ribbon pie entry. If that weren't bad enough, his parents have something come up and can't take them to the fair and won't let Miller go alone. After waiting for another mom to take them, Miller gives up and takes Penny and her two friends to the fair by himself. The fair turns out to be nothing like Miller had envisioned. With no rides, no food and no money after using all of it taking care of the younger children, Miller learns the true meaning of responsibility. 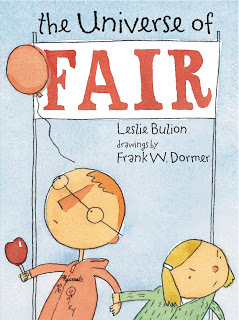 Through humor and charm, Leslie Bulion brings the sounds and tastes of a small town fair alive in a heartwarming story that captures the essence of friendship, loyalty and the value of family. Frank Dormar's lively black and white illustrations complete this endearing tale. 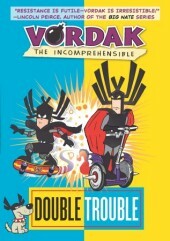 Enthusiastically recommended for the middle grade reader, but will appeal to the younger reader as well. Would also make a great read aloud book for families. **Per FTC regulations, I received a copy of the book at no charge to facilitate the review. No other compensation was received. Prize fulfillment is by the Peachtree Publisher. When Thomas of Xueltion finds his father has been murdered, he vows to avenge his death. He works at becoming a skilled assassin. However, he must use his ingenuity when he discovers his father's killer is one of the Prakani, a superhuman race who rules the land of Xuelition. 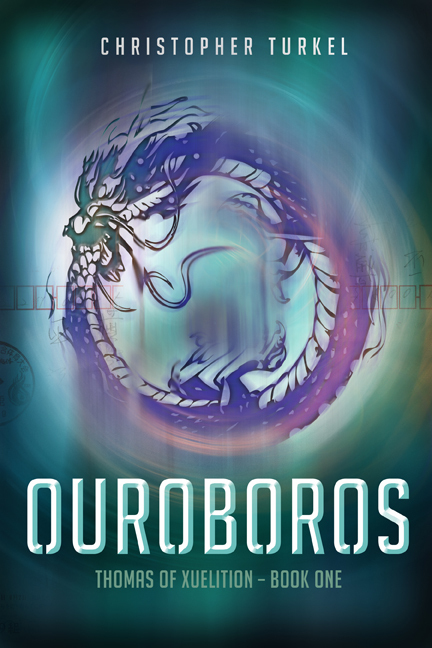 When the government hires Thomas to recover bonds from an employee, his life becomes like the ancient ouroboros symbol, a never ending cycle that returns to where he started. In a surprise twist of events, Thomas receives a new challenge that will change the course of his life. Author Christopher Turkel's dystopian future fantasy will delight the young adult fantasy fan. While the prologue initially distracts from the story placement, once the pieces fit together, the pacing picks up. Good for the fantasy minded reader who likes a quick read and easily connects to the main character. Also good for the reader who looks forward to new books in a series. Vin will do anything for an autographed David Beckham soccer shirt including letting his older sister manipulate him. When his sister, Meg, informs him he will play a duet with her in the student concert, Vin knows he is doomed. The last concert they played together didn't turn out so well. Meg does leave the door open for Vin to escape his fate. However, he must get Meg's dream boy, Brad Stewart, to play the trumpet with her instead. They only problem is that Vin doesn't know Brad, but he does know Brad's nerdy brother, Eyeballs Stewart. Vin hatches his brilliant plan he calls operation BS. He tries to befriend Eyeballs Stewart in order to convince Brad to play the duet with Meg. In some laugh out loud, albeit predictable moments, his plan goes awry, leaving him scrambling to save his skin and the duet. 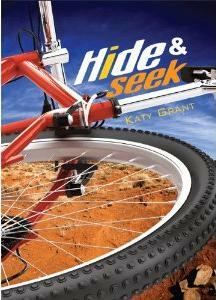 Author, Maggie Lyons, creates a fun adventure full of humor a friendship. The novella format makes for a quick read, especially appealing for that boy who hates reading. The antics of 12-year-old, Vin, will have the reader at full attention, trying to anticipate what hilarious antic comes next. Recommended for the reluctant middle grade reader. Tired of the constant bullying he endures from thugs he calls the "Vikings," twelve-year-old science whiz, Fisher Bas, devises a brilliant plan to clone himself in an effort to avoid going to middle school. For his plan to work, he must steal his noble prize winning mother’s Advanced Growth Hormone without her noticing. With the successful creation of his clone, Two, Fisher almost pulls off the perfect plan. However, just as he becomes comfortable at home monitoring his clone on his computer while eating junk food, his plan begins to unravel. First, his clone becomes wildly popular, which gives Two the confidence to stand up to the Vikings. Unfortunately, drawing attention to himself, makes Two the target of a kidnapping by the sinister Dr. X. With an amusing mix of brainiac technology and well paced action, Popular Clone by M.E. Castle will have the middle grade reader enthusiastically rooting for Fisher, the underdog while at the same time presenting an enjoyable way to learn challenging scientific vocabulary. Popular Clone is the first book in the Clone Chronicles, a series middle grade readers are sure connect with. 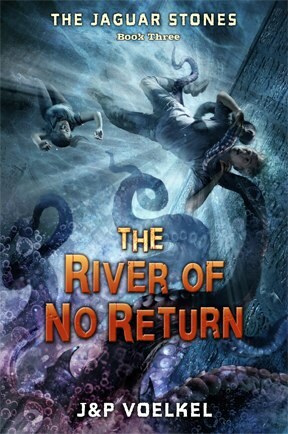 Recommended for a great mix of action packed sci-fi and fantasy.